I retweeted a link to this on social media but I wanted to share here to a broader audience a short video from the Adobe MAX 2017 event. This is a 'sneak peak' presentation from Bernard Kerr about a tool he has been working on, known for now as Project Lincoln. 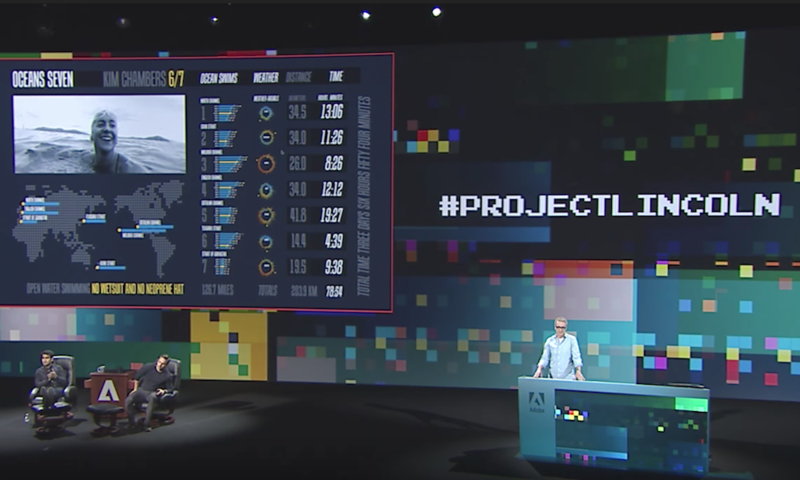 So I'm sharing this to broaden the awareness of this project and to whet the appetite across the community because I think it will be an amazing product IF it is something that manages to secure serious attention from within Adobe. Is he really doing all of this live? It seems so. Even if he’s practiced a lot, that’s impressive. I don’t understand entirely how it works, but I hope it makes it into production. Any idea where the name comes from? It’s so pompous and seemingly random, there must be a reason. Oh and the moderator should come to our conferences if he wants to hear people cheer for dataviz! Hi Francis. Yes, he is indeed doing this live because he did a similar demo (different topic) for me. It is a really great prospect: just think of all those times you have wanted an Adobe Illustrator visualisation work to be tied to real data or the design expressiveness of Illustrator applied to an Excel chart. No idea about the naming origins.